The Sennheiser IE 8 device is attractive and well finished earphone that provide the user with good sound quality. Another plus point of this device is that one can utilize the device for long period of time without any stress feeling in ears. The isolation of noise is bad, the design of travel box for Sennheiser IE 8 headphones is not good either and last but not the least, the headphones are really very expensive. The Sennheiser IE 8 earphones are one of the most expensive headphones obtainable in the market for the consumers. 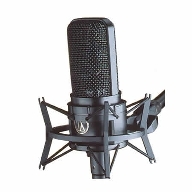 They are easy to use, provide nice quality of sound and have a very attractive appearance. One of the best features of Sennheiser IE 8 headphones is that they are extremely comfortable to use. The reason behind this is that you can utilize the device for hours and hours and still would not feel any kind of stress in your ears. Moreover they fit into the ears of the consumers perfectly. Use them in planes, cars and commercial areas etc, they will provide you good quality of sound. However in areas where there is a lot of noise around, you would not be able to hear clear sound because the noise isolating feature of this device is not that good. This device is actually made of very high quality material and that is one of the main reasons why they are strong, durable and have got a long lifespan. The design of the travel box you acquire with this device is not as attractive as the headphones and it is very hard to insert the entire cord inside it to close the box. Overall the Sennheiser IE 8 headphones are good quality devices. You will love the sound quality and bass effects while utilizing them but the main factor that actually restricts majority of the people from purchasing this device is the price. You can obtain good quality earphones at a price ranging from 100 to 200 US dollars, so spending more than $300 for Sennheiser IE 8 earphones does not offer good value for the money. In case if money is not the main object for you then you would absolutely love these phones. The master’s choice for quality listening. Great sound quality with comfort. These headphones give clearly defined tones which exemplify the hidden qualities of music. The headphones are a bit weak on the mid-ranges of tone. The price is a bit high for a headphone set which offers these features. We all know Dr. Dre as an artist with a great ear for music, and obviously, the headphones that he designed should be a great choice for listening. 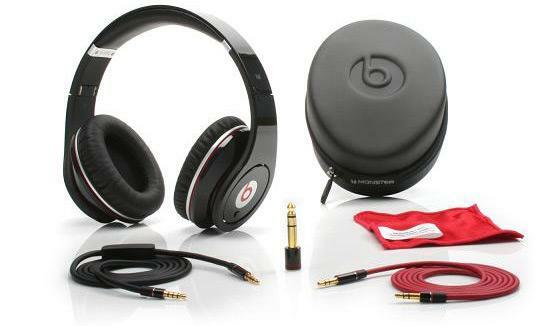 The Beats headphone set by Monster is just that; it provides awesome quality sound that would make Dr. Dre himself proud. So when you listen to the best hip hop music, the Monster Beats headphone set is the best set of headphones you could come across. Dr. Dre is a world-renowned music producer, he helped great projects like Eminem and 50 cent to get off the ground and to reach superstardom. As with everything to do with music, Dr. Dre always looks for the best listening experience and hence he wants the best hardware. Dissatisfied with the headphones available for DJ-ing available today, he got together with Monster and came up with Beats: a truly next-generation DJ headphone set. Monster Beats by Dre Studio is a headphone set that has been designed to bring out even the tiniest detail in every audio track you listen to. Every instrument played on the track will be clearly defined, and you will be able to hear tiny details such as the sound of the pianist’s fingers on the keys. Every note will be perfect, and you will be able to close your eyes and be instantly transported to a hall where your favorite music is being played. The Monster Beats headphones come with noise-canceling features as well, and are powered by two AAA batteries. There is no passive listening mode for the noise-canceling feature, hence you will always have an isolated listening experience. The wired headphone set comes with a 3.5mm audio plug as well as a 6.3mm screw-on adapter, so you can always plug in the Monster Beat by Dre Studio in to your mixer without any problems. The sound ranges are well-defined, with high treble and ear-thumping bass. All in all, it is a great choice for any aspiring DJ who wants to reach the big time. Sennheiser RS 180 is an excellent sound source. With a wide, circumaural design, the headphones can “breath”, offering the clearest sounds with automatic volume control. The controls are designed poorly and raise difficulties when using the device. Also, the battery life is supposed to be long enough, but it can drain in less than four hours. The device is no disappointment in terms of audio quality and the technology used, but it lacks at the usability level. The volume controls of Sennheiser RS 180 makes one wonder what was in the mind of its creators when designed. Also, the model has no noise canceling features, which comes as an important deficiency when considering the price. 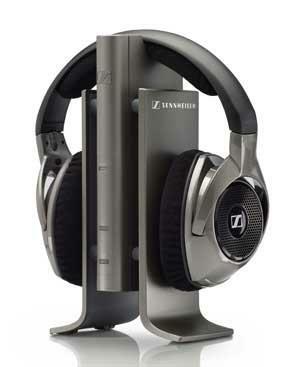 Sennheiser RS 180 is a system of headphones that uses digital wireless technology and offers a good sound standard. However, it is not preferable to other similar products, as it requires quality music files for the sound to be of quality too and for the listener not to hear the compression distortions. On the other hand, the headphones’ signal continues to work properly even when separated by a wall from the transmitter, without interruptions or distortions. The volume controller is defect and has a too large dimension when compared to the rest of the controllers. Also, during the first 30 minutes or so of use one can hear often beeps, but the device then works normally. The model is satisfactory when listening to music, but the sound interrupts from time to time when watching movies (as it looks that there is a minimum sound level under which interruptions occur; by increasing the source’s volume, he problem disappears). When it comes to the design, the headband is easily adjustable making the headphones both stable and comfortable to wear. The best sound quality possible that you could get from a pair of in-ear earphones are given bye these earphones. The range of accessories provided along with these earphones are very useful. Sound-isolation means that external noise is removed. The carry cause has space for extra tips without really needing it. The bass of these earphones is a bit weak. The flagship earphone model of Sennheiser, the IE8 is the best piece of equipment for the audiophile who wants to stay mobile at all times. It provides out-of-this-world sound quality and extremely effective noise-cancellation thanks to its sound-isolating design. A great range of accessories provided free of charge also make this model give value for money. The Sennheiser IE8 is a set of earphones that can be considered as the flagship of Sennheiser when it comes to in-ear earphones. It has great potential as a set of noise-canceling earphones as well, thanks to its sound-isolating design. The sleek black design of the Sennheiser IE 8 gives it quite a bit of style which would make it quite attractive to the most fashionable of users. Thanks to the triangular ear piece design and gel tips, the noise-isolating design of the earphones is well in place. A large amount of extra gel tips and foam tips are provided for the earphones, which makes it extremely easy to customize them for your personal needs. Additional accessories include a 6.5mm adapter for the earphones, which can be connected to the existing 3.5mm jack. The greatest thing about the Sennheiser IE8 is the great sound quality provided by the earphones. The in-ear ear pieces fit right inside your ear canal and provide clear sound quality the feels like it is being generated right from the middle of your head, enabling you to fully connect with the music. The in-ear sound-isolating design of the Sennheiser IE8 helps to keep out all external ambient noise, which means that you will not be deprived of having the best possible listening experience by annoying environmental noise. The Sennheiser IE8 is a great pair of earphones for any user who really knows the difference between mediocre and high-quality audio. The Sennheiser IE8 will not disappoint you in this respect. Awesome power and extreme quality. The sound provided is of a high quality. Fits comfortably on your head and does not put any stress on your ears. 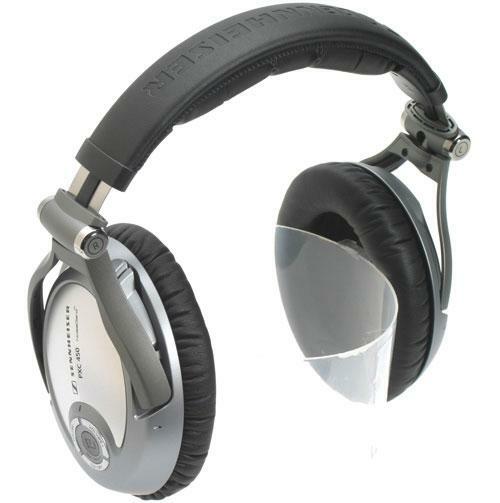 Offers complete noise-cancellation. This headphone set is rather highly-priced when compared to the competition. The best headphones for those who seek high-quality headphones that provides the maximum in sound quality. From the studio of the legendary Dr. Dre himself, get these Monster headphones which will single out even the minutest detail from any music you listen to. Hear it down to the tiniest detail. Monster and Dr. Dre have come together and come up with Beats for those of you who aren't satisfied by the sound quality you get from any old headphone set. Dr. Dre, the genius behind such megastars as 50 cent and Eminem, was just as dissatisfied as you are with conventional headphones and thought of developing true studio headphones which would not leave out any musical detail. Middle-Eastern company Monster was willing to work on him to make this dream a success, and the Beats studio headphone set was born. True to its word, Monster Beats by Dr. Dre will single out even the tiniest detail from any piece of music you would care to listen to using it. In fact, if you listen to tracks that you are familiar with using the Beats headphones, you will be surprised to hear sounds and audio snippets that you never heard before. The Monster Beats headphones allow you to listen to your music as you have never done before. These wired headphones need to be powered by two AAA batteries and there is no passive mode: once you power up they act as noise-canceling headphones as well. Of course, we needn't mention the legendary bass thump you can get out of these. Watch out! If you turn up the volume too high, they might blast out your ears!